Note! First come first serve: our retreats usually get fully booked very quickly so if you’d like to join: make sure you secure a space to avoid disappointment. – Okreblue (13 rooms) eco resort: prices from €780 for a whole week! – Kalimera (12 rooms), with a pool: prices from €880 for a whole week! 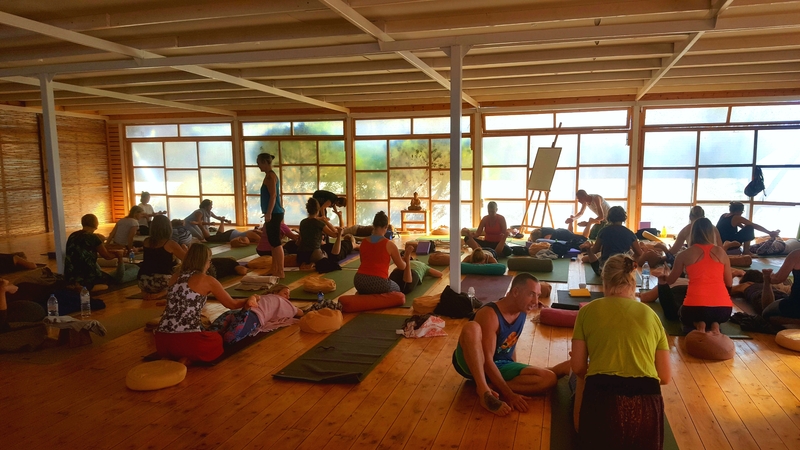 All included in the price: accommodation, food, yoga sessions and workshops – and a private short session with us to tailormade your practice further. All the yoga sessions and meals will be at Okreblue. If you’re already living in Paros we also offer non-accommodation options. The retreat center is located at Filizi beach, the quiet side of Santa Maria bay. Situated amongst cedar trees and lovely thyme aromas is just a stones throw from the sandy beach. Okreblue offers what anyone desires for their ideal vacation; tranquility, wonderful food, beautiful beaches with crystal clear waters and of course, nature. This year we’re offering a wider range of options for accommodation: we have reserved the beautiful retreat center Kalimera, located next to Okreblue (just a two minute walk from the shalas!). Just let us know which option you prefer. Prices: see below. Option 1: Take a flight to Athens, and then a short flight to Paros. Option 2: Take a flight to Athens, and a ferry to Paros. We’ll pick you up at the airport/ferry port. Let us know if you need help with bookings your tickets. If you find tickets that “collide” with the retreat dates: it’s absolutely fine if you arrive a bit later or leave a bit earlier than the retreat dates. Check in: 3 pm Saturday 28 Sept. Check out: 12.00 noon Saturday 5 Oct. Extra nights: Please email reservations@okreblue.com for inquiries. Okreblue is a beautiful eco retreat center with a cozy and warm home-away-from-home feeling. This is important to us: we prefer to NOT arrange retreats at big and impersonal hotel chains. The owners of Okreblue are friends of ours; they used to spend every winter season in Goa, which adds to the feeling of “home”. We had a beautiful experience at Okreblue in 2018 and we are so excited to welcome you to join us for another retreat! Do you want to rest, practice yoga, learn more about your body and your yoga practice, meditate, dance, have fun and connect with new people, eat yummy and healthy food? Then this is the retreat for you. All levels welcome: for the daily physical practice, the group will be split into two smaller groups: basic and advanced: 20 people in each group. We have space for 40 people but only the morning meditaitons and workshops will be as a full group. All the yoga classes have 20 people only, with two teachers in each class, meaning you will always get a lot of personal attention if you want. 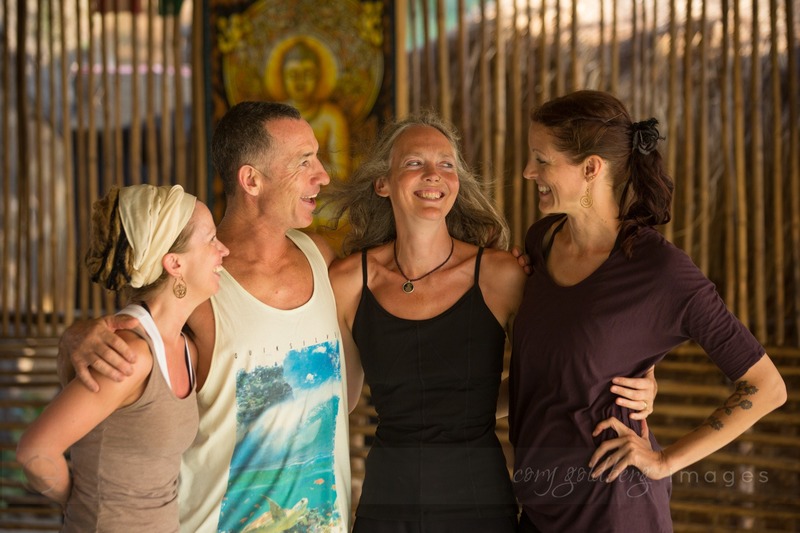 Jennie, Josefin, Melanie and Stu have worked together for years and all share a passion for teaching yoga and making it authentic and real and relevant to you and your body. Together we will teach you about basic anatomy and how it is relevant to YOUR body and we will devise a special asana sequence just for you.You will learn about alignment and how to work towards openness and stability in your body and mind. We include dynamic ashtanga vinyasa yoga and vinyasa flow and restful restorative, yin yoga and meditation. Early bird discount until 30 April 2019. 14 yoga classes, 7 meditation classes, 4 workshops. All is optional – if you prefer to take a day off and just relax on the beach instead of doing yoga that is also fine! Note: October is not high season, so flights are cheap! Please make sure that you book well in advance. Transfer from the airport (45 € per taxi) or ferry port (30 € per taxi) one way. Each taxi can be shared by 4 people. Make sure you book your tickets well in advance. Let us know if you need help with the bookings. 1) Take a flight to Athens. 2) Take a ferry from Athens (Piraeus port) to Paros. We’ll pick you up at the port. We’ll pick you up at the airport. Workshops cover for example: breath, core, feet and foundation, yoga in everyday life, stress management, yin and restorative, movement and self healing, hips, neck and shoulders. Meditation, yoga nidra or chanting. – Every day maid service. – Towels and sheets will be changed every 3:rd or 4:th day. – All meals are vegan/vegetarian (no meat, no fish). 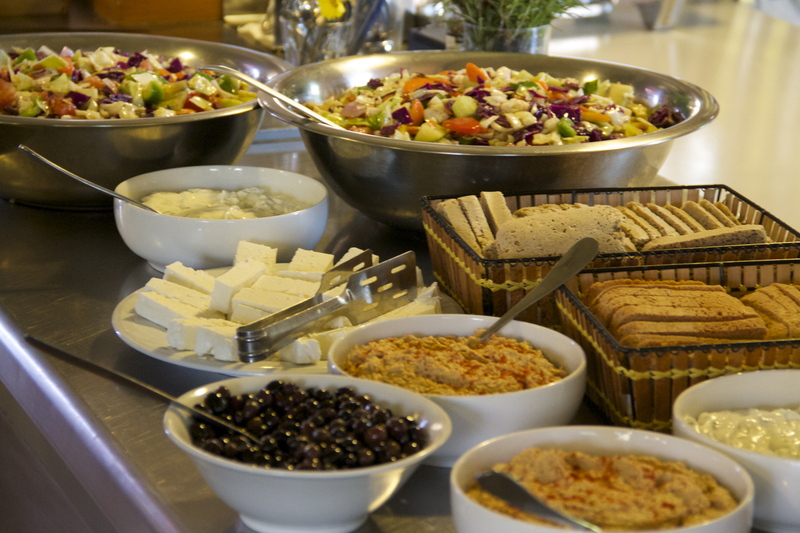 – Regarding any special dietary requirements, Okreblue offers vegan, gluten free and dairy free meals. If you have a specific diet, please inform Okreblue in advance. Pay the deposit of 300 Euro to book your space. 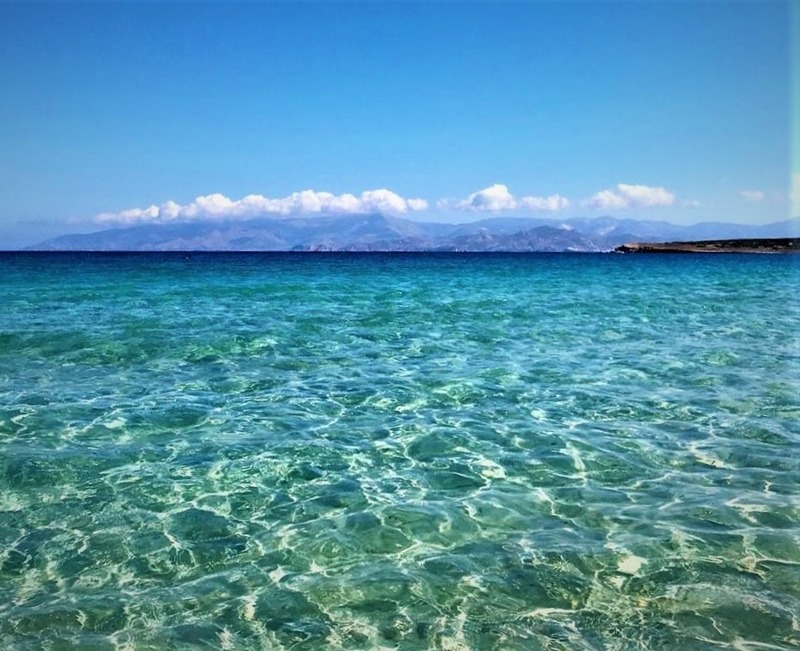 The retreat is being conducted by Okreblue Seaside Yoga Retreat, Paros, Greece. Please contact Jennie and she’ll send you the account details. Payment options: bank transfer, PayPal and Transferwise.